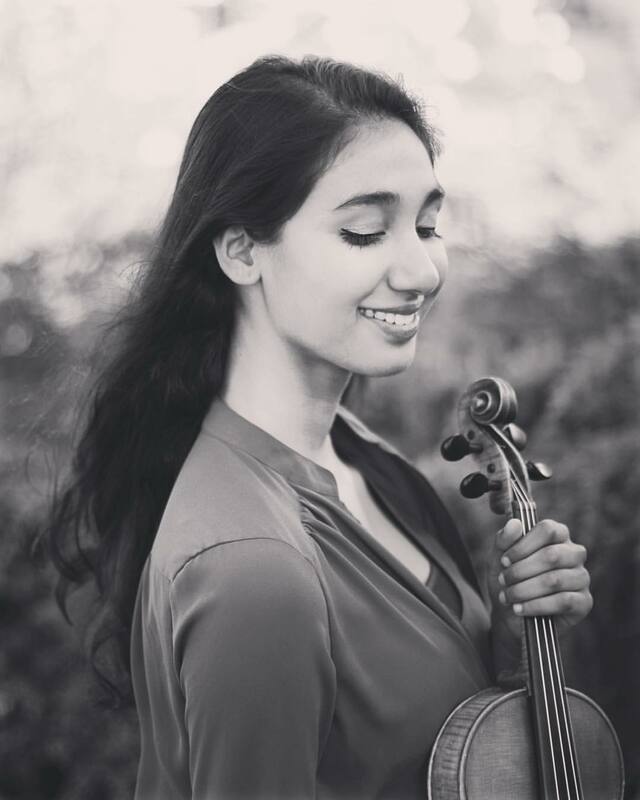 Maya Ramchandran is a 22 year-old violinist currently based in Boston pursuing a Masters degree at New England Conservatory under the tutelage of Paul Biss. She completed her undergraduate studies in 2015 at Brown University, earning a degree in Applied Math and Biology. A native of Berkeley, Maya began her violin studies at age three and later attended the Crowden Music School, and has performed extensively as soloist and chamber musician in the Bay Area. Her previous teachers include Wei He from the San Francisco Conservatory of Music and Lois Finkel of the Rhode Island Philharmonic and Brown University. Maya was recently named a semifinalist in the 2016 Klein International String Competition, and previously was a top prizewinner at the Oakland East Bay Symphony, Fremont Symphony and the Mondavi Center Young Artists Competitions. She has appeared as a soloist with the Berkeley Symphony, Fremont Symphony, Oakland Youth Orchestra, and San Francisco Youth Chamber Orchestra, and has participated in masterclasses by Augustin Hadelich, Vadim Gluzman Karen Gomyo, Joseph Genauldi, and John Adams. Previous festivals include the Heifetz Institute, where she studied with artists including David Cerone and Elmar Oliveira, the Keshet Eilon String Mastercourse, where she studied with Ilya Kaler and Vadim Gluzman, the Mendocino Music Festival, and Hotchkiss Summer Portals. In 2015, she premiered a violin work entitled “Homeric Rhapsody” written in her dedication by composer Benjamin Nacar.